Fast Horse is about the sport of Indian Relay and the attempt to win the Indian Relay championship at the biggest show on earth, the Calgary Stampede. Alexandra Lazarowich said she aspires to make films that inspires Indigenous kids to keep living, to do something, be something amazing. “A lot of the times we end up as dead bodies in films,” she said of Indigenous people in the movies, with cinema’s often traumatic storylines. 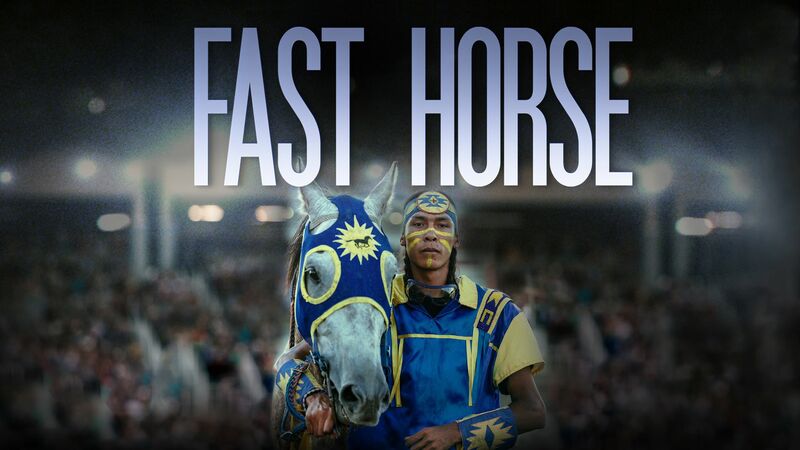 Lazarowich’s recent film Fast Horse, however, which took home the 2019 Sundance Short Film Special Jury Prize for Directing, inspires through the courage of Cody Big Tobacco, a jockey in the extreme sport of Indian Relay. He’s on Allison RedCrow’s Indian Relay Old Sun team of the Siksika Nation. Fast Horse is about the sport of Indian Relay and the attempt to win the Indian Relay championship at the biggest show on earth, the Calgary Stampede. Lazarowich describes audience reaction to Fast Horse as “strange” and “unexpected”. People love the film and are moved by the story of Allison and Cody and the Siksika Nation. Fast Horse was made in memory of Thomas Many Guns. “We did it in honour of somebody who’s an amazing person who really worked hard to bring Indian Relay to the Blackfoot community in Siksika. It was her fifth attempt to get her work into the prestigious Sundance Film Festival, founded by actor/director Robert Redford. “When you grow up and you’re Indigenous and you’re from Canada, it feels like dreams like this aren’t even a possibility. Not even something that you can imagine,” she told Jeremy Harpe of CJWE 88.1 FM Calgary. She said it is a wonderful time for Indigenous cinema.